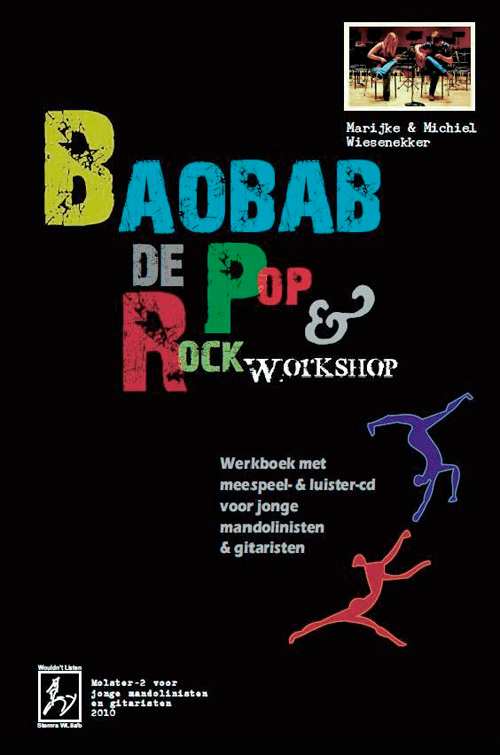 The workbook Baobab includes nine songs for young guitar- and mandolin players. With each song, the book offers a simple melody with chords to a more elaborated score for band/orchestra. For the student there is also room to improvise. The workbook Baobab is suitable for beginners, but also for advanced. The Play-Along CD and Listen To Baobab CD are a pleasant help by playing the songs. The book is written in Dutch and German.